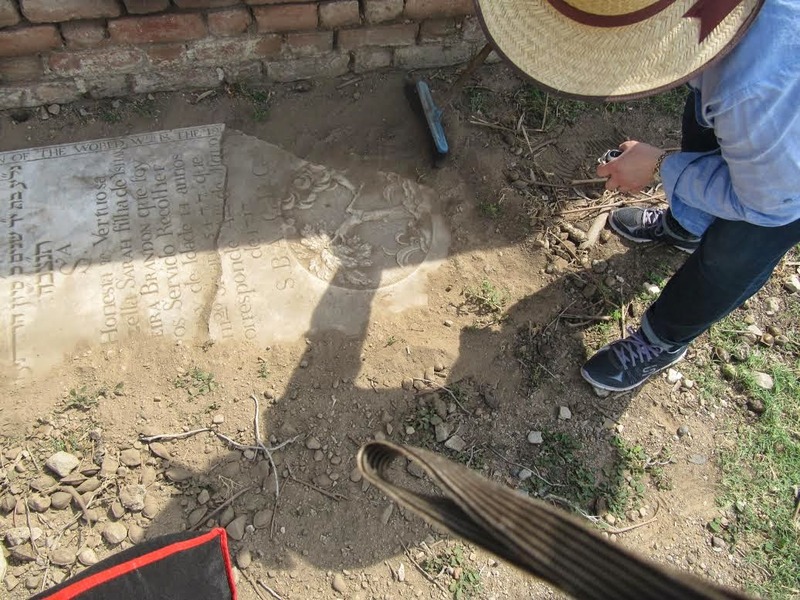 Thursday, February 12, 2015, 12:30-2:00 p.m.
Jamaican Jewish gravestone revealed. Photo: Emma Lewis 2015. 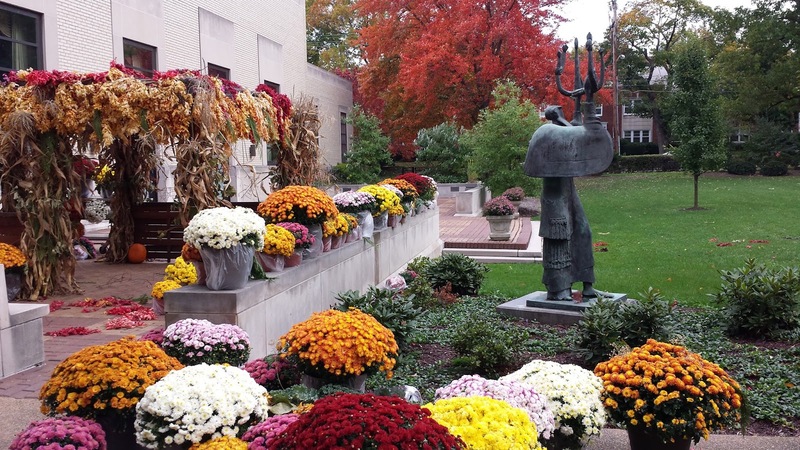 "Jamaican Jewish Cemeteries: On the Ground and in the Cloud"
Today is the 140th birthday a talented Newark-based Jewish architect Nathan Myers, who created on of the most celebrated synagogues of the 1920s along with many other buildings. Nathan Myers lived his whole life in Newark. He was born Feb. 2, 1875 to Marcus and Julia Myers. He graduated from Cornell University’s College of Architecture in 1896 with a B.S. in architecture. Cornell was very welcoming to Jewish students had already graduated several successful young architects. Myers immediately began his practice of architecture in Newark in 1896 and worked in and around the city until his death in 1937. 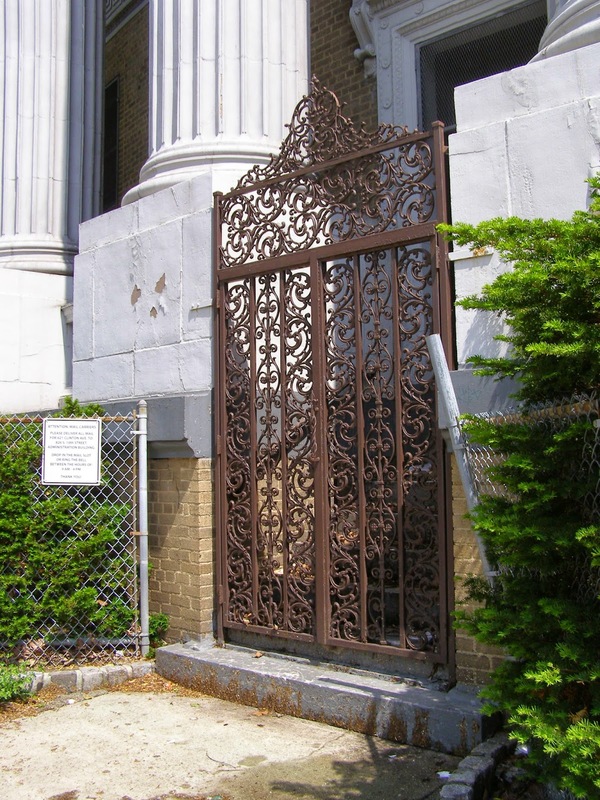 His best known work is the B’nai Abraham synagogue and social center in Newark, begun in 1922 and dedicated in 1924. Myers died in 1937. The synagogue, now the Deliverance Temple, is listed on the National Register of Historic Places. 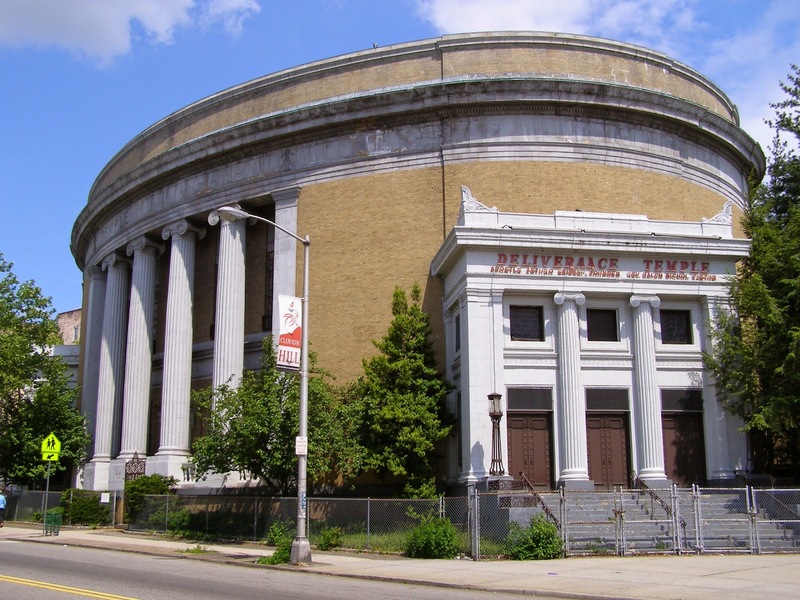 The 2,000 seat former synagogue was considered when built one of the finest in the country. 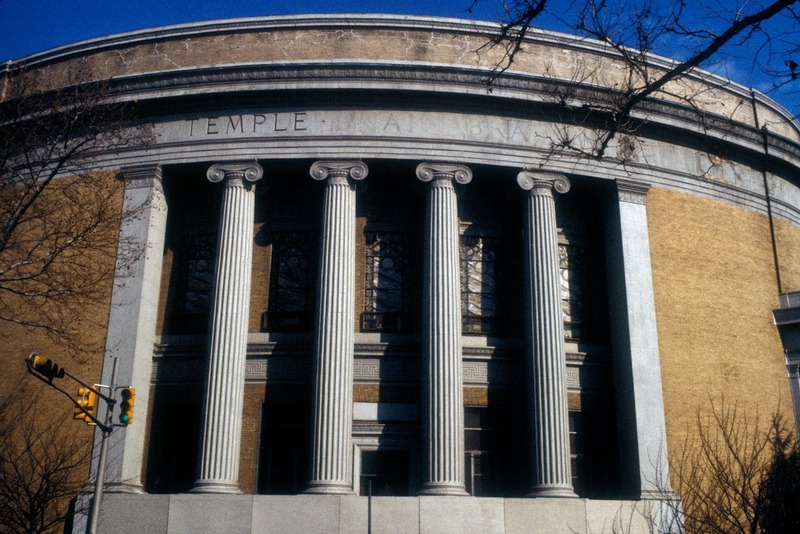 At the Temple's opening in 1924, congregation officials pronounced the buildings to be "models of completeness, judged from the standpoint of fitness and adaptability for Jewish worship and activities. They stand as a copy of no building nor group of buildings and in carrying out his own ideas and endeavoring to meet the congregation needs, the architect has displayed unusual skill." 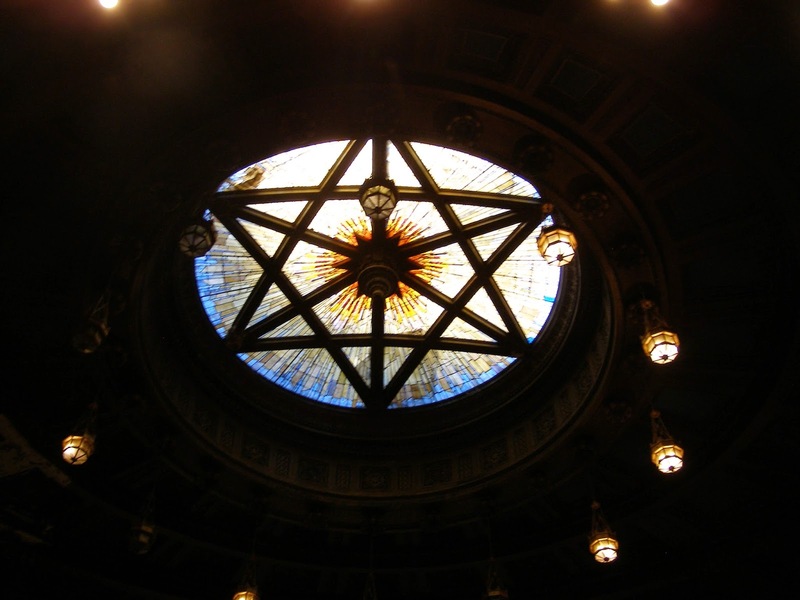 Despite the fame of the building, Myers was a member of Newark's B’nai Jeshurun Synagogue. Newark, NJ. 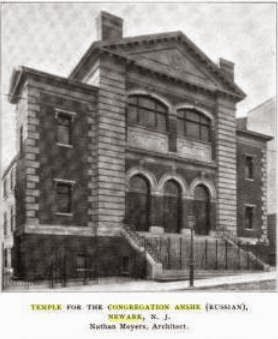 Temple Congregation Anshe Russia, 1902. Nathan Myers, architect. Myers also was the architect of Beth El Synagogue in Waterbury, CT., built by Shapiro & Sons in 1929. Designed in a stripped down Byzantine style, with a prominent hemispheric dome, it was one of many synagogues of the period that helped prepare the country for the introduction of modernism after World War II. Waterbury, CT., Beth El Synagogue, Nathan Myers, arch, built by Shapiro &; Sons (1929). 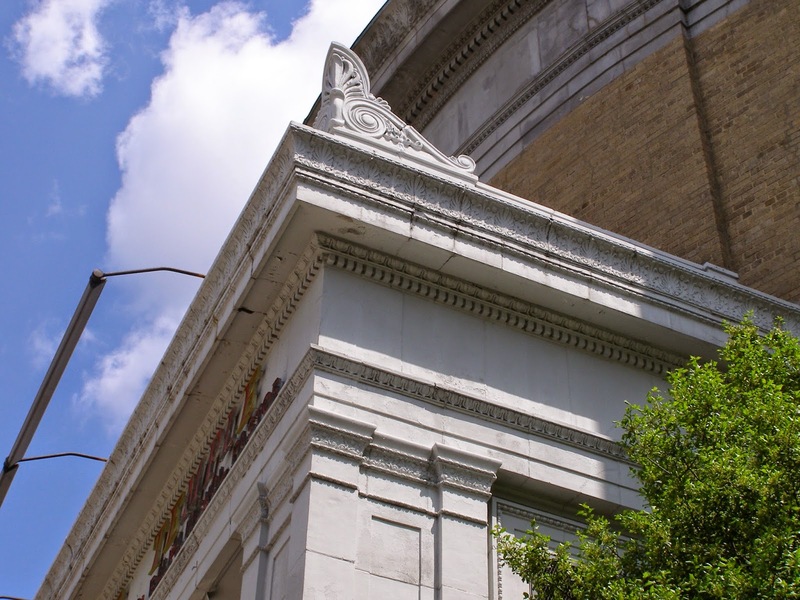 Other known buildings were Lyceum Theater in Newark (1904); the Bamberger Broadcasting Company power station in Kearny, NJ; St. Ann's Villa at Convent Station, NJ; and St. Paul's AME Zion Church in Orange, NJ. His best known late building was the 14-story Art Deco Hersch Tower in midtown Elizabeth, New Jersey. designed with Joseph Sanford Stanley, who worked for Myers in his Newark office after graduation from Princeton, from 1929 to 1935 (he would later gain prominence as an architect of religious buildings). Built in 1931 at the beginning of the Great Depression by businessman Louis F. Hersh, it was the tallest building in the city at the time. According to Who's Who in American Jewry 1926, Nathan Myers married Estelle Gerber on January 1, 1901 and then remarried Minnie Rose Rich on May 21, 1922, in New York. He died in 1937. While several of his individual buildings are of note and worth saving when still extant and worth remembering when they are not, Myers is most interesting for the entirety of his career - which deserves more study. Nathan Myers is an example the third generation Jewish-American architect - professionally trained and deeply rooted to a particular place, where over the decades he made his mark. There were other Jewish architects like him Rochester and Albany, and further west. He was stylistically eclectic - but with strong classical leanings and ready to embrace more stripped-down modern decorative styles in the late 1920s and early 1930s. Many clients were probably Jewish - either businessmen or Jewish congregations. It is unclear to me whether Lewis F. Hersch of Elizabeth, whose grandfather ran C. Hersh & Sons Dry Goods Store begun in 1866, was Jewish or German, but I suspect the former. If you have information about Nathan Myers, let me know. 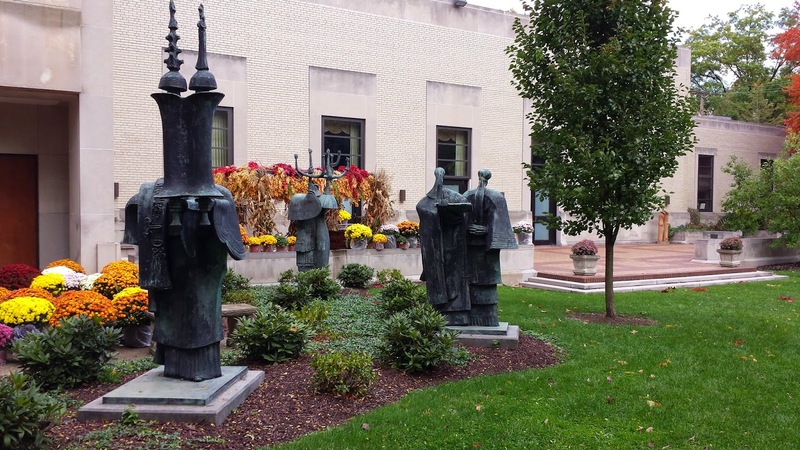 The series of bronze sculpted figures titled Procession I by noted American-Jewish sculptor Elbert Weinberg (1928-1991) that had stood at Temple Beth Israel in Steubenville, Ohio, for forty years, has found a new home at Rodef Shalom Congregation in Pittsburgh. This is one of three cast editions of this multi-piece work. 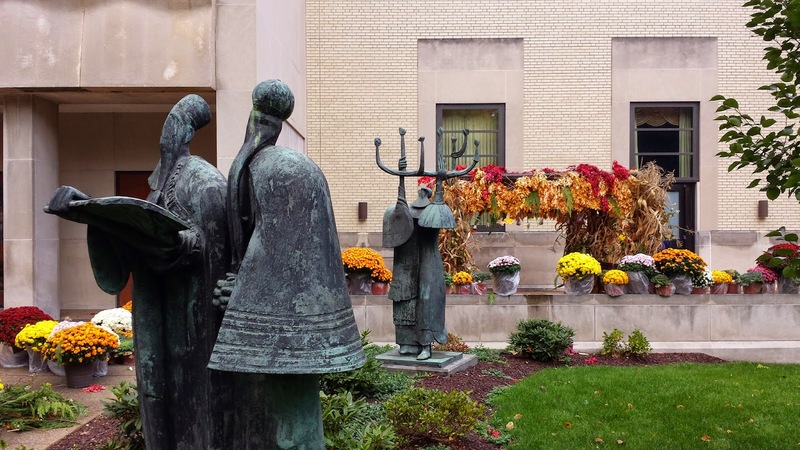 The other two are on view in the courtyard of the Jewish Theological Seminary in New York and indoors at the Washington Hebrew Congregation in Washington, DC. Despite seemingly-identical casts the appearance and appreciation of each group differs due to siting and arrangement. 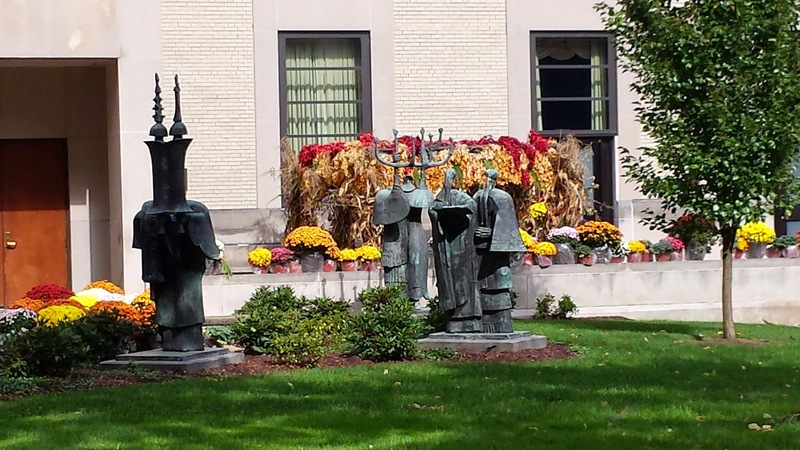 I saw the new installation on a visit to Rodef Shalom last October. The new Pittsburgh installation is the most accessible of the three - it can be seen from a major street - and it is the most beautiful. 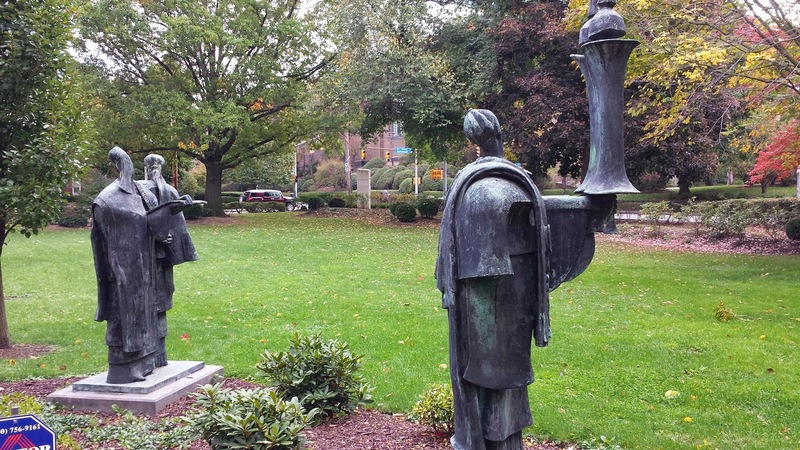 The three figural groups are placed in a landscaped garden setting. 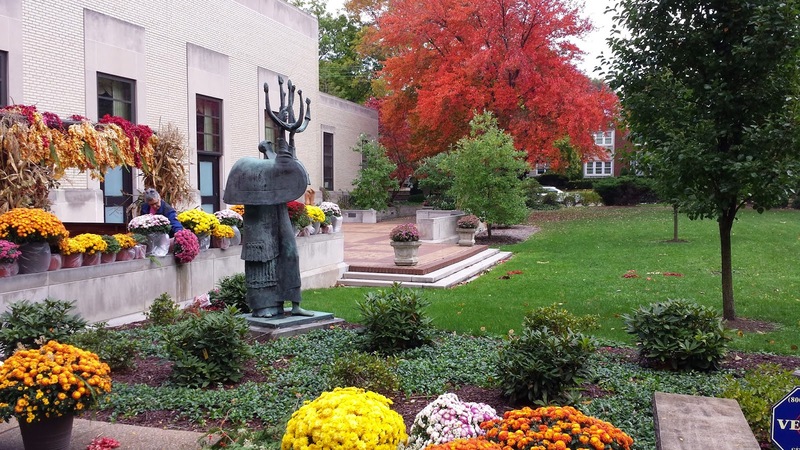 Temple Beth Israel in Steubenville closed the doors on its 1966-built synagogue and held its last Shabbat service on May 17, 2013. It wasn't a question of lacks of funds; it was a problem of lack of members. The congregants decided not to await a total collapse of their synagogue - figuratively and literally - but to close the congregation from a position of relative strength. This was not a case of "the last one out, turn off the lights." 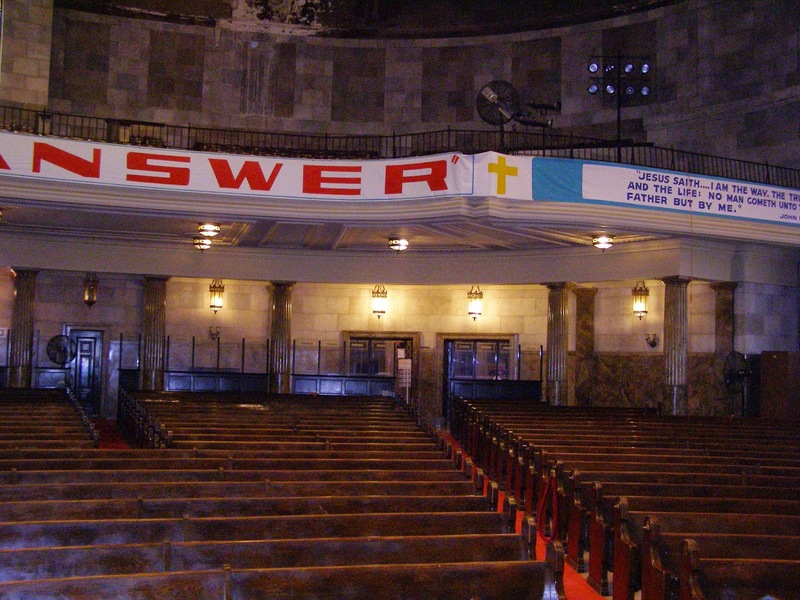 But for a congregation down from 200 to only 35 families, the writing was on the wall. The congregation chose to close and sell the building, and after some careful consideration to find new religious homes for congregants (who now need to drive a half hour to Wheeling, West Virginia or to Pittsburgh, Pennsylvania for services) and for their Judaica. Procession I was the largest and most notable possession. Weinberg sculpted The Procession in plaster beginning in 1955 and it was then exhibited at the Whitney Museum of American Art’s “Young America, 1957” exhibit where it attracted considerable media attention. 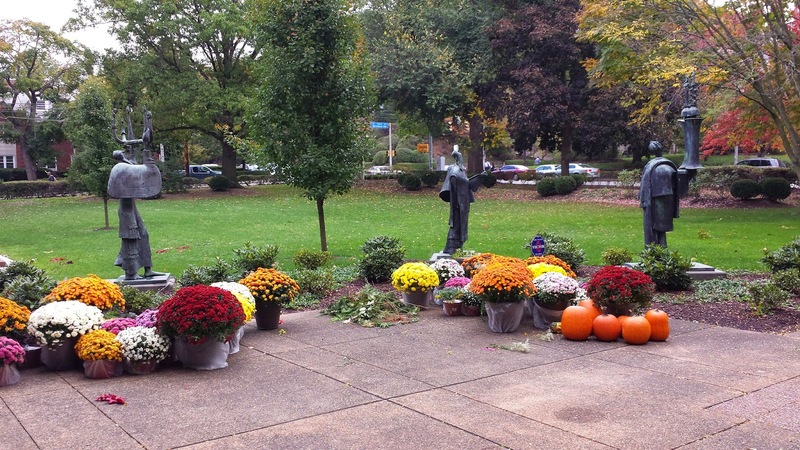 With help from Mrs. Albert A. List, one of New York City’s great art patrons and an important benefactor of the Jewish Museum, it was cast in bronze in 1957. 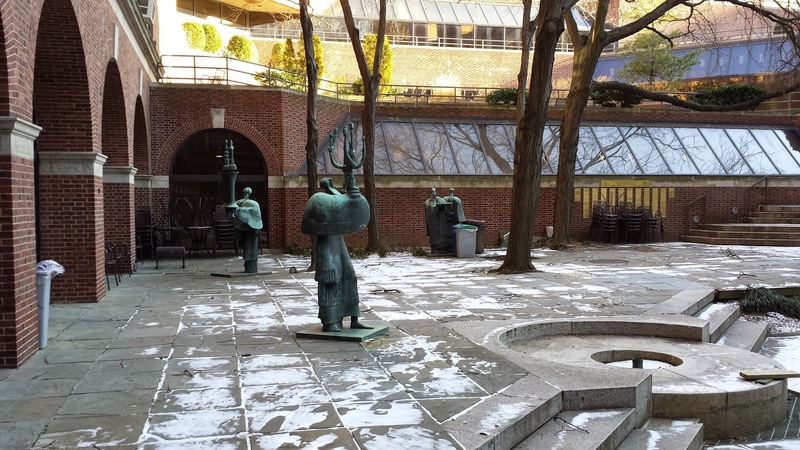 The work was then given to the Jewish Museum and it was subsequently permanently displayed in the garden of the Jewish Theological Seminary where it can still be seen. In 1967 the sculptural group was loaned for installation at the Jewish Pavilion at the Expo '67 World’s Fair in Montreal. 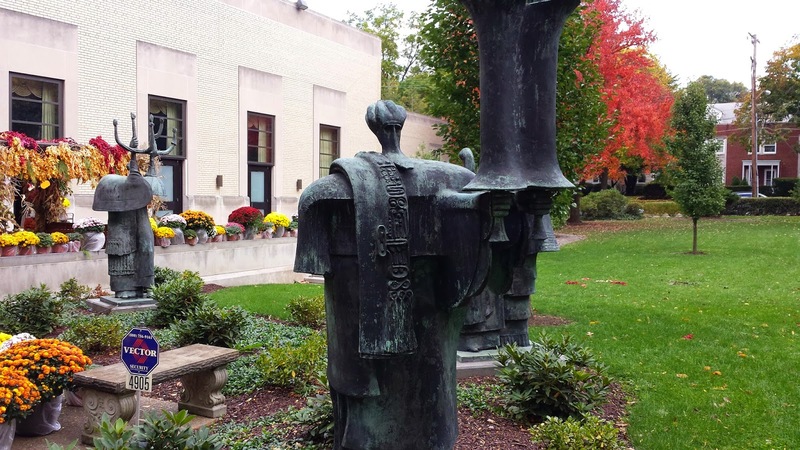 In 1968, prominent art collectors Mr. and Mrs. Arthur Kobacker donated another identical casting to Temple Beth El in Steubenville. Procession I consists of four figures headed by a Tallit-clad figure bearing a Torah. Behind him and to one side follow two linked figures, one of them holding an open prayer book. The last figure carries a menorah. 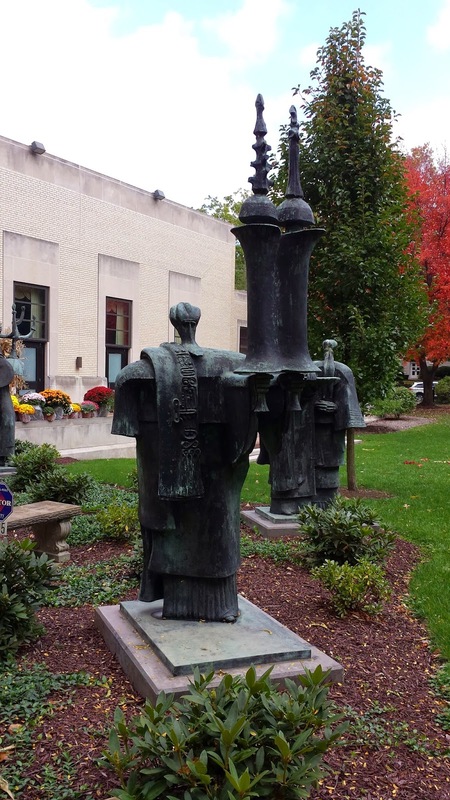 I like these works by Weinberg a lot, and the similar group Procession II installed on the grounds of Congregation Beth El in West Hartford, Connecticut, too. They've got me looking at other Weinberg work and I look forward to a stop in Hartford later this month to see more where he created a Holocaust memorial for his native city in 1982 and his bronze statue The Blind Sister of Narcissus, was recently installed outside the New Britain Museum of American Art in nearby New Britain, CT. Weinberg's papers were recently donated to the Hartford Public Library where they are presently being processed. Weinberg had many other large commissions including the Holocaust Memorial in Wilmington, Delaware (1982) and works at the Embarcadero Center and the JW Marriott San Francisco Union Square Hotel in San Francisco, completed in the 1980s, not long before his premature death. 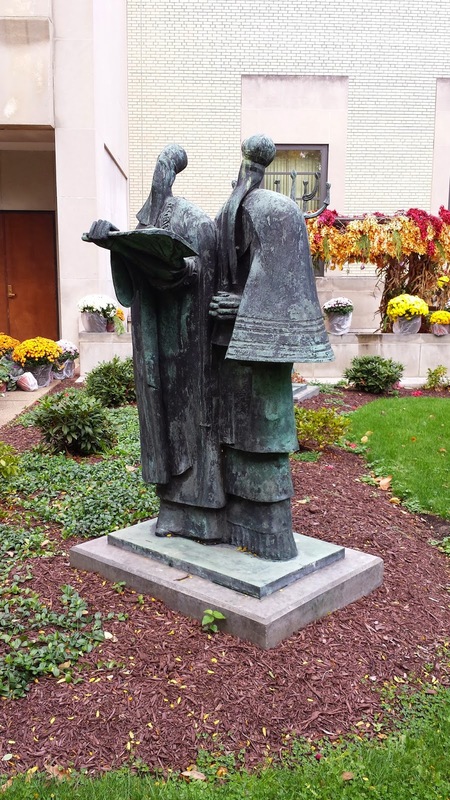 Click here to see a large selection of Wienberg's sculpture including Judaica and Biblical works. West Hartford, Connecticut. 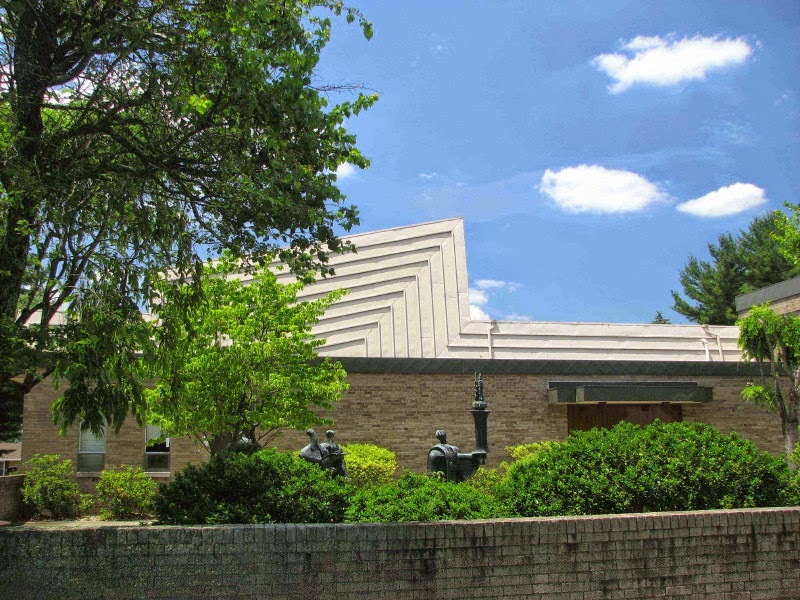 Congregation Beth El, Procession II by Elbert Weinberg.Photo: Samuel D. Gruber (2011). 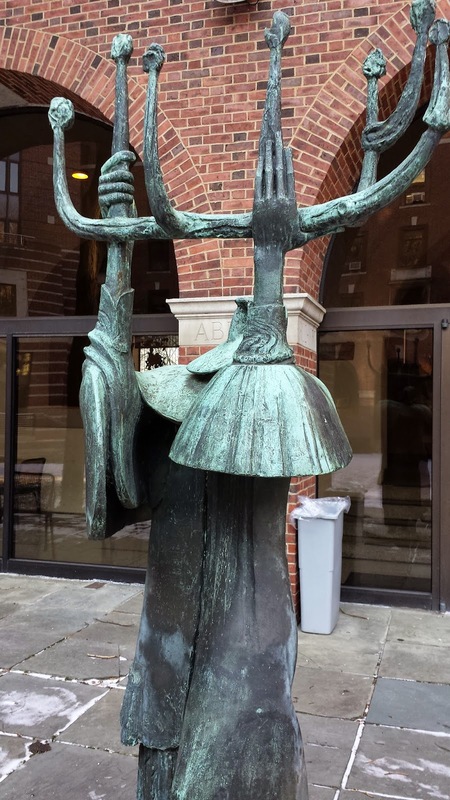 Weinberg was a Fellow of American Academy of Rome, and I think he was the youngest sculptor so honored when he won the Rome Prize in sculpture in 1951. But he was not the first Jewish sculptor at the Academy. Leo Friedlander, Reuben R. Kramer, and Albert Wein had all been there before. While in Rome, Weinberg made his first significant Judaica piece. "Ritual Figure" was a woodcarving of a man blowing a shofar. The work is figural - but interpretative and expressive. The piece was purchased by the Museum of Modern Art and was on the cover of Art in America. Soon after, Grace Borgenicht of the Borgenicht Gallery in New York City, took Weinberg on as an artist. The Procession figures - especially the menorah-carrying figure in Procession I and the shofar-blowers in Procession II - are descendants of that first Ritual Figure. 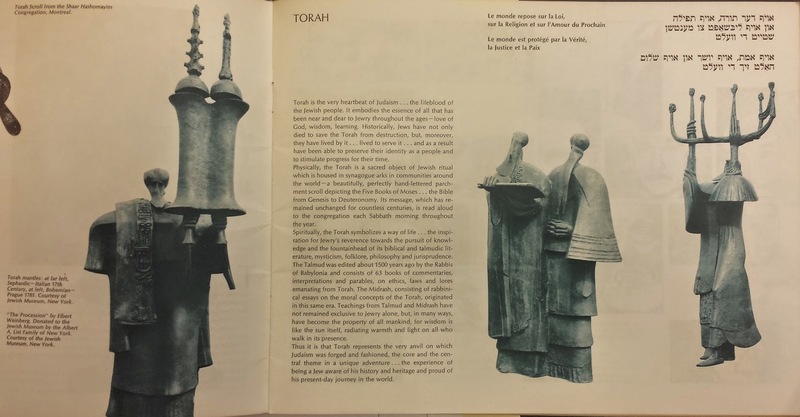 It was through Borgenicht that in 1968, the Kobacker family purchased Procession I and donated the work to Temple Beth El in Steubenville.